We are proud to have with us a very prominent Ulama from our times who touched the hearts of millions. Mufti Yoosuf Haniffa will visit Assalaam Masjid on the 5th April 2014 to conduct the Saturday program. 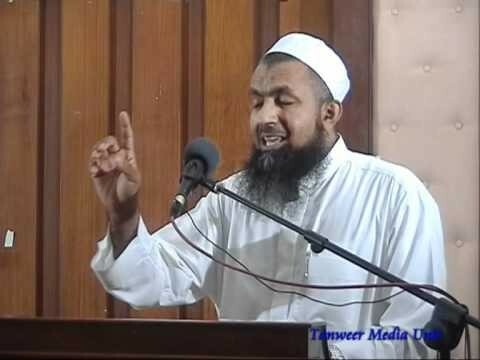 Mohamed Haniffa Mohamed Yoosuf (‘Mufti Yoosuf’) was born in Kandy, Sri Lanka in the year 1968. Mufti Yoosuf completed his primary education at Al-Mannar Central College, Handessa, Kandy, Sri Lanka. He completed his initial Alim course at Rahmaniya Arabic College (1981), Akurana, and Thabligul Islam Arabic College (1983), Sammanthurai,Sri Lanka where he completed his higher studies in Sharia at Rahmaniya Arabic College, Akurana in 1989. Thereafter, he entered the Islamic University of Karachi, Pakistan where he completed his higher studies with a specialization in Islam. Managing Director, Zeylan Education Consultant. (Zeylan is an institute which provides educational & consultancy services related to Islamic Banking and Finance). Vice President & Visiting Lecturer Al-Haqqaniyya Arabic College,Kandy, Sri Lanka. (This is an institute for Arabic and Professional education). Member of Fatwa (Jurisprudence) Committee All Ceylon Jamiyyathul Ulema (ACJU) Secretary of the Islamic Banking, Financing and Insurance Advisory Committee ACJU is a nongovernmental national religious organization incorporated by Parliament of Sri Lanka in 2000. Member of the Shariah Supervisory Board (SSB). Topic: Prophet Muhammad (Peace be upon Him) Role Model for Mankind from Allah (SWT) until the end of the world. (English with Japanese Translation). *** ALL BROTHERS AND SISTER ARE INVITED TO JOIN THIS SPECIAL EVENT AND GET THE MAXIMUM BENEFIT INSHA ALLAH.